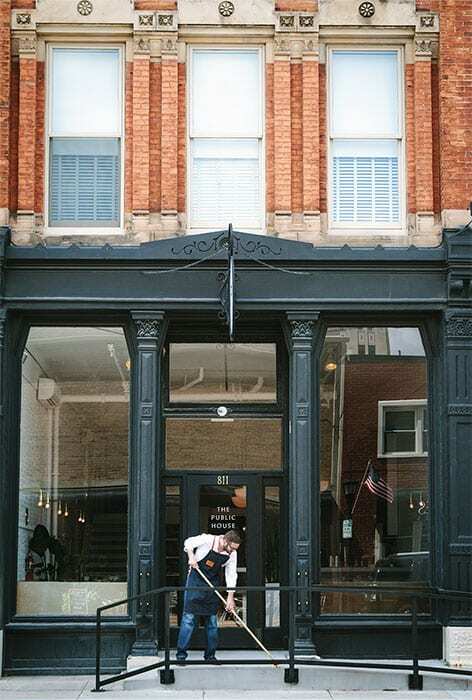 With The Public House, Lyndsay Edmonds aimed to bring a big city vibe to the small town of Bay City, Michigan. 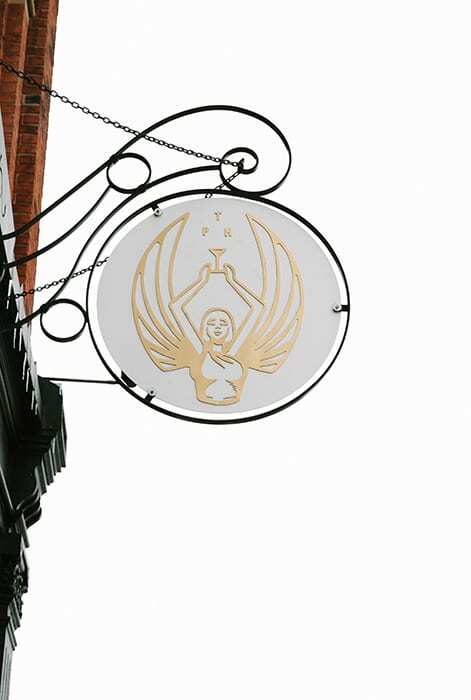 The logo for the bar is called the Goddess of Bay City and nods to Michigan's automotive history. "The Goddess stands on the hood of a car (she emulates a hood ornament) holding a cocktail forward (as the ultimate sign of hospitality)," Edmonds explains. Taking inspiration from her favorite cocktail bars around the world, Edmonds dreamed up an interior space that's light, bright and welcoming for guests of all backgrounds. The bar's mantra is displayed in a mural on the wall. 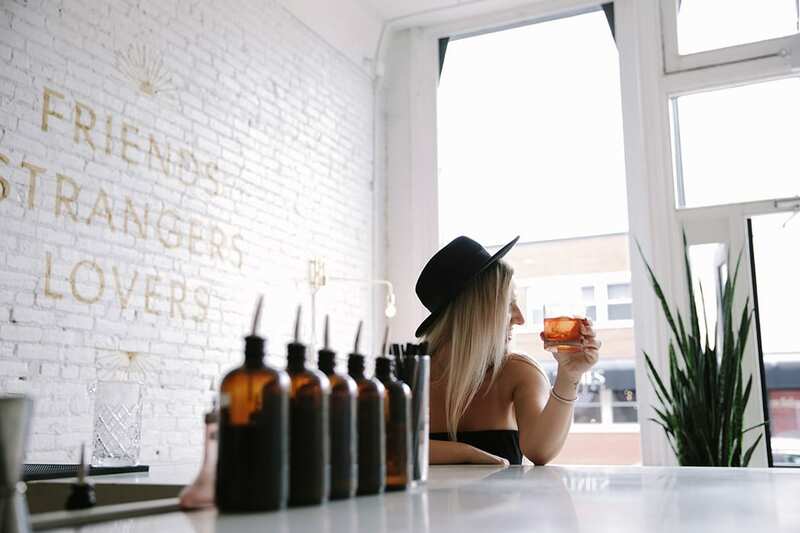 "We cheers to strangers who become friends, friends who become lovers, and serve stronger pours to lovers who become strangers," says Edmonds of the phrase. Tasteful Nudes. | Photo by Julia Ross. 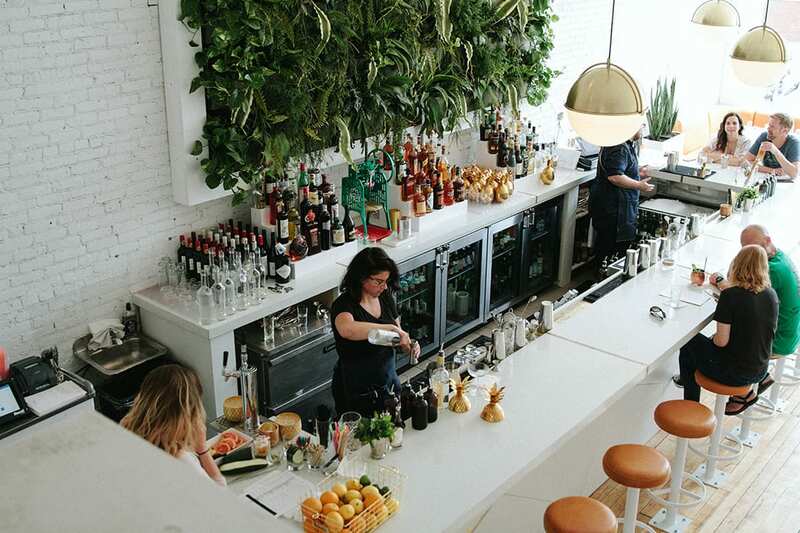 A large living wall behind the bar brings warmth to the space. "Public House quite literally means 'public home,' so we want our guests to feel at home, but with the volume turned up," Edmonds says. 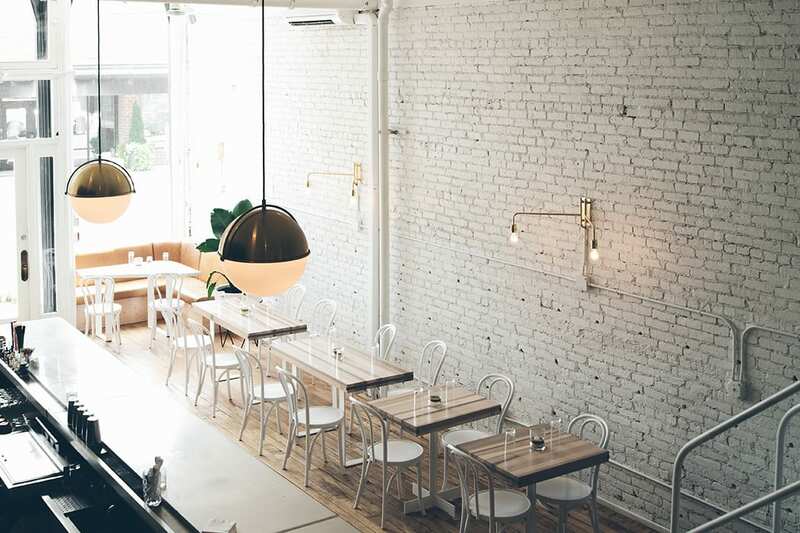 Whitewashed brick and simple, modern light fixtures give the space an airy and contemporary feel. 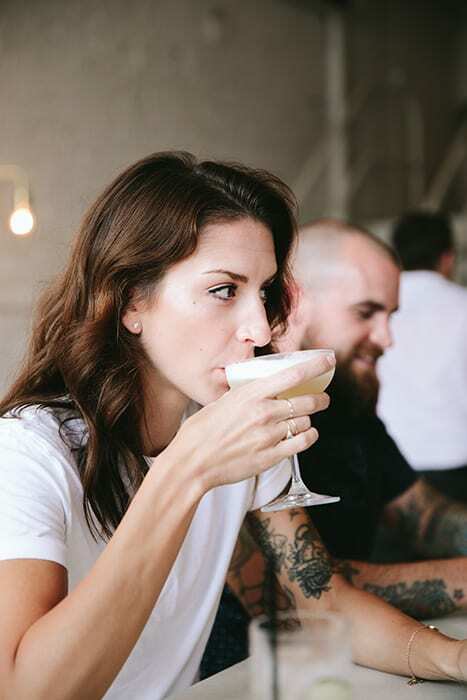 "We want our guests to feel that sense of togetherness while learning the quality of a craft cocktail," says Edmonds. 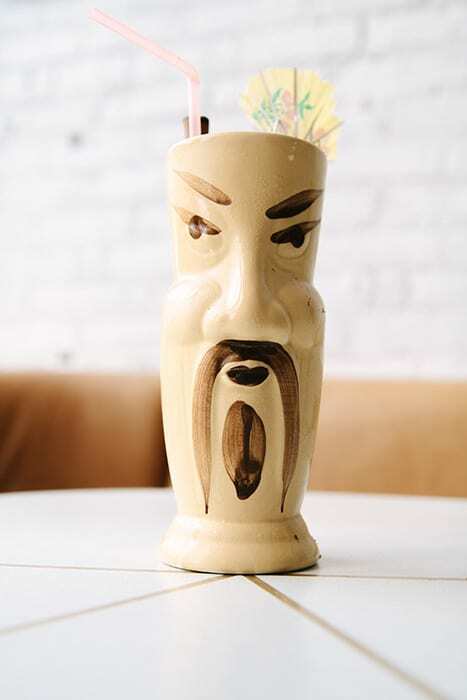 The Three Dots and a Dash is one of the classic cocktails served at the bar. 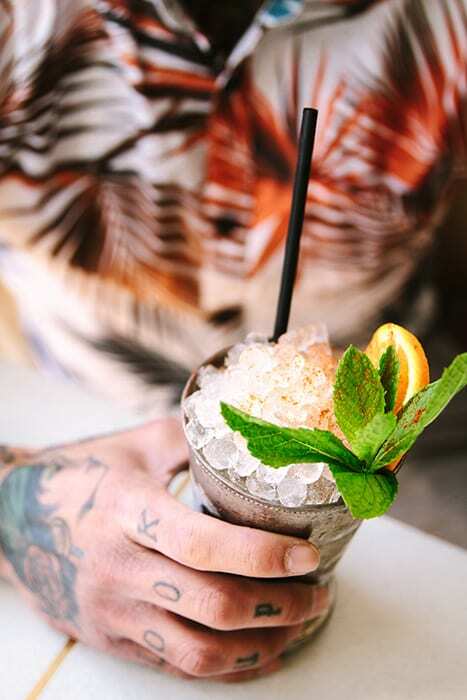 To kickstart that mission, Edmonds enlisted Zach Lynch and Ryan Dettera from Ice Plant in St. Augustine to develop the opening drink menu and train bartenders. 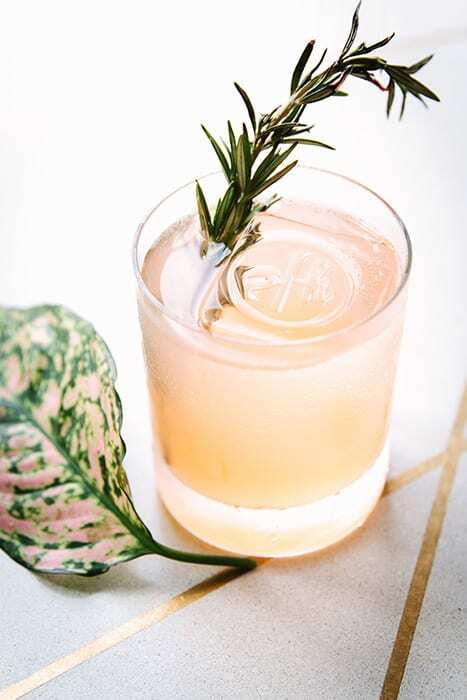 The spirits collection focuses on small local producers when possible, and on the drinks menu, original recipes like the Eden, with Hendricks gin, Suze, Cocchi Americano and salted cucumber share menu space with classics like the Scofflaw, Southside and Hemingway Daiquiri. 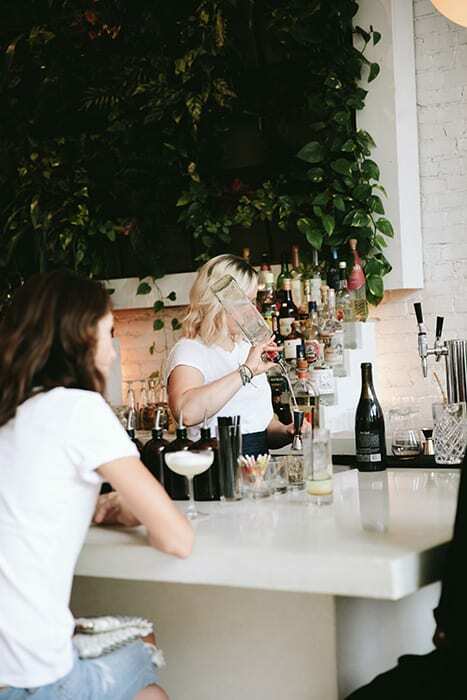 “Our cocktail program is designed to gradually nudge our core customer-base outside of its comfort zone. There’s a focus on inventive originals and offbeat classics to get people to try something new without feeling like they’re taking a huge gamble with their enjoyment,” Edmonds says. This alcohol-free sipper ensures that all your guests can partake of the holiday festivities.